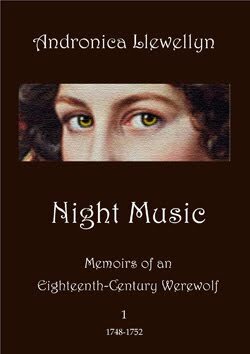 Classy lesbian werewolf from the Eighteenth Century. I also play the harpsichord. Day job at MI6. "A man who seeks truth and loves it must be reckoned precious to any human society." For the lycanthropically inclined who love German but are paralysed by its grammar, here is a wonderful poem by Christian Morgenstern to help remember the four cases - nominative, genitive, dative and accusative. und bat ihn: Bitte, beuge mich! zur Einzahl auch die Mehrzahl noch! gestehn, daß er von ihr nichts wußte. doch "Wer" gäb's nur im Singular. er hatte ja doch Weib und Kind!! so schied er dankend und ergeben. © Andronica Llewellyn 2012-2014. Watermark theme. Powered by Blogger.